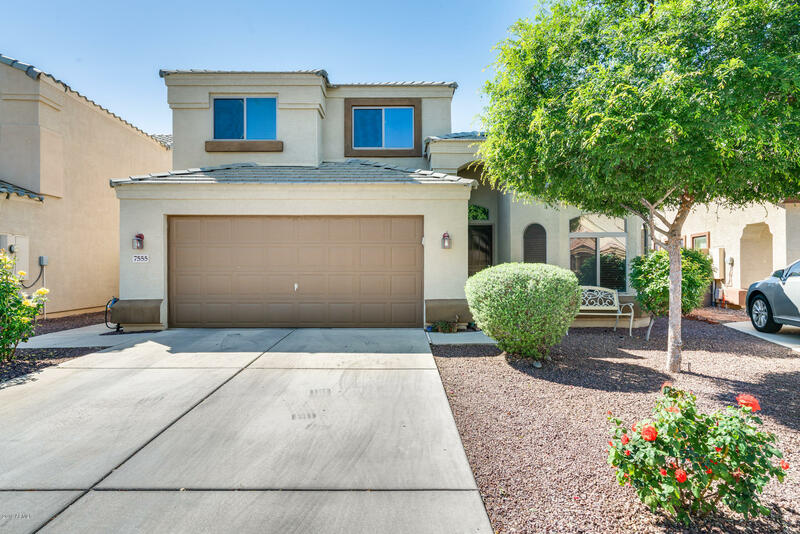 All PARK ROSE homes currently listed for sale in Peoria as of 04/20/2019 are shown below. You can change the search criteria at any time by pressing the 'Change Search' button below. "A great home with a PRE-PAID SOLAR LEASE - NO PAYMENTS FOR THE NEXT 13 YEARS!! This attractive home boasts a formal living room and dining at entry, high vaulted ceilings, and tile flooring in all the right places. The eat-in-kitchen features an island that overlooks the great room; the lower level also features a half bath, laundry room and direct entry from the garage. All of the spacious bedrooms are located upstairs, with a split floor plan for privacy and a large master suite with full bath"